Rex and Regina are young and energetic teens looking to start their first adventure, but humans are not the only race who fight the monsters. 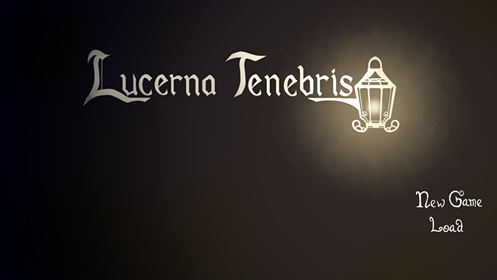 Lucerna Tenebris is a fantasy RPG set in a world where Deities and Demon fought, consequently altering numbers of animals into monsters and humans into demi-humans. In response to humanity's treatment to demi-humans, they united themselves to survive against human tyranny, while humans created a guild of adventurers to repel both monsters and demi-humans. The engine we're using is RPGMaker VX Ace, with several scripts combined to give a new gameplay and mechanics. We are Dragon Emperors, featuring Tyler as our guest composer. We started the project as a two programmers and two artists team, but after a series of events Tyler joined to help us. Trial was made for the custom battle system, starting by integrating two cores: sideview battle and grid system. More stuffs added to the battle system - Active Time Battle and YEA integration was put. Adopted ability system from Grandia. Three new updates over the past week! I'm pretty embarrassed that I went out on Saturday so I kinda missed the chance to promote more on screenshot saturday! And last but not least, new title screen!